I wish Jamie Grove posted at How Not to Write more regularly, because even when I disagree with some of his ideas about writing (which is very rare), he always gets me thinking about the craft and the process. 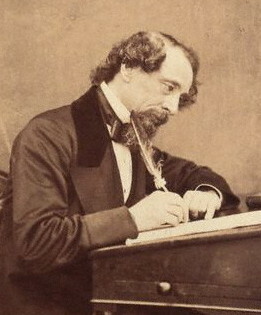 Today’s post, “Charles Dickens – Three Principles of Writing,” is a great example and a wonderful post. The gist is his (or rather, Dickens’s) formula of “UTMOST APPLICATION + GREATEST PATIENCE + STEADIEST ENERGY = WRITING (AND ANYTHING ELSE WORTH DOING RIGHT).” But you don’t want the gist–you want Jamie Grove’s whole post. Seriously. You should check it out. And then get back to the writing.